Inside and out, only the finest goes into Hydra Pools®. Our precision engineering means that every part is meticulously designed and fabricated for flawless fit and finish. The strength of Hydra's intelligent design means you will have a swimming pool that you can enjoy trouble-free for years to come. Our pool's structural thermoplastic walls are molded to exacting specifications based on thorough research and engineering. Each panel has uniform rigidity, flatness and strength derived from the strategic placement of ribs. 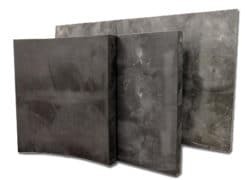 These panels cannot rust, corrode, rot, crack or splinter. In addition, they offer a higher strength-to-weight ratio than steel.